Home Air Conditioner Unit To The Rescue? The season of Jack frost is fast approaching, long gone are the nights of unmanageable sweltering heat. Sunday 23rd September 2018 will officially mark the end of British summer. Record weather reports this year saw a heatwave with temperatures soaring higher than ever before. With many home owners having just invested in a home air conditioner unit, fear and anxiety over the next household expense may be looming. 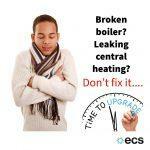 Worried the boiler is on its way out? Fear not as you crank up the temperature. Now is the time to heat up and wrap up warm. Let’s drink hot chocolate and complain that England is horribly cold and wet. Familiar grumbles of us Brits? A warm home in winter is a necessity and with the heart of most British homes being the boiler, if your system is looking worse for wear… coupled with an empty purse then fear not. The new home air conditioner unit serves as a multi purpose climate control system. The heat pump part of you system outside offers a more economical and eco friendly way to heat up your home over traditional heating systems. The previsions of the Green Deal may be distant from you mind, but listen up as HVAC systems are already pre-approved on the eco warriors list of technology aids. Got a new home air conditioner unit? Missed the boat on the summer air con sale? It hasn’t left the dock and we advise jumping on…. as a home air conditioner unit is a serious home government improvement that can save you 75% on your energy bills. The green deal initiative has already saved you a col 15% if you have a new home air conditioning system. The VAT reduction, however is only the first saving with thanks to its energy efficiency. Additionally, thats VAT reduction is applicable all year round. Install now and you can heat for cheaper this winter and also be ready for the next heatwave. So how does a home air conditioner unit we heat you ask? Simple, in cold weather, it reverses the refrigeration cycle. By reversing the flow of refrigerant, your air conditioning system can heat to a toasty 25c. 0 comments on Home Air Conditioner Unit Heat Better Than Boilers?